We are a leading Exporter of cork ladies sling wallet and cork multicolour ladies sling wallet from Mumbai, India. 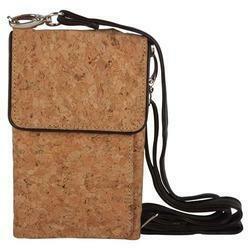 We are providing a quality proven range of Cork Ladies Sling Wallet to our prestigious clients. These products are designed as per the industry defined norms and available in various specific designs and patterns. Offered products can manage all essentials and easy to carry. In addition to this, we are offering these products at the leading market price range within committed period of time. 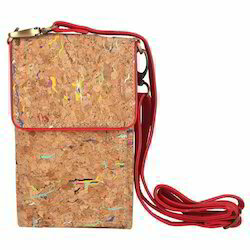 We offer wide range of Cork Multicolour Ladies Sling Wallet. These are manufactured using optimum quality products in adherence to the set industrial standards. In addition to this, a team of professionals check product on predefined parameters of quality so as to offer error-free range. Also, these products are offered to the clients within committed period of time. Looking for Cork Women Sling Wallets ?